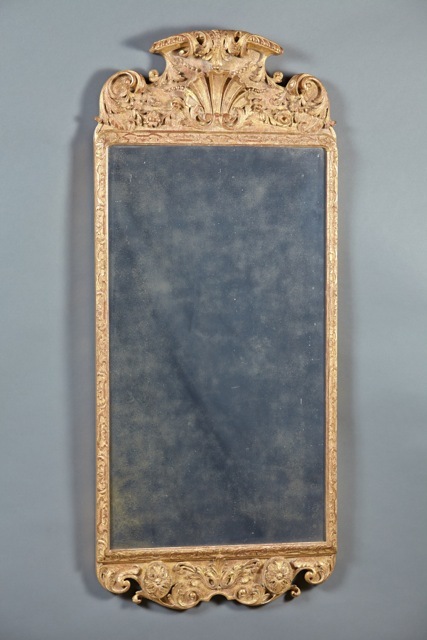 A fine and George II carved and gilt mirror with original bevelled plate and panelled back. The crest with carved central stylized plume is over a rectangular frame with strapwork and carved elements over a lower apron with applied rosettes and scrollwork. English, circa 1740.